These work a lot better than what i had. These last about 3 days while the originals were only good for about 6 hours. good long lasting battery. 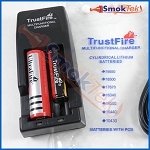 this is just a wee bit shorter than the trustfire 18650, so it fits in the charger easier. These are arguably the best 18650 batteries around. Wether you are running sub ohm coils on a mechanical device or just running them on a PROVARI or VAMO, they work well and work reliably. This is a great battery for a one battery job, but for all day I like to stack 2 18350 for all day power. I've given these about 40 cycles now. Still running great. Lasts a full day of constant vaping, almost two of moderate vaping. Good Battery. It lasts all day in the VAMO. 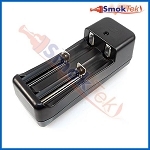 Of course, it is high drain - so the vape time depends on the watts/volts setting, which is up to me. It is as good a battery as any I've had - well worth the price. 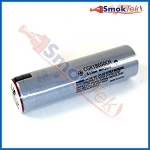 This battery is very long lasting and produces at my desired wattage till the very end. It fits my Vamo very snuggly. I would estimate 12-14 hours of vaping or more. 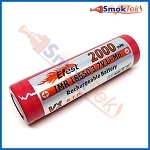 Q: Is this battery safe to use with sub ohm atomizers, lets say .5 ohm?